You are here: Home 2015 May Move to 40G Today? Yes! Tomorrow’s Data Center Network: Technologies such as virtualization, big data, cloud, mobility, and distributed applications are enabling the data center to support priorities like never before, making data center network performance and capacity more relevant than ever. Take steps today to ensure your network is prepared for opportunities to gain increased efficiency and flexibility. Walk past your data center, and you might hear a soft, plaintive call: “Feed me, feed me…” It is not your engineers demanding more pizza. It is your servers and applications. And the call is growing louder. Mobile and virtualized workloads, cloud applications, big data, heterogeneous devices: they are all growing in your business, demanding previously unimagined capacity and performance from your servers and data center fabric. And that demand is not slacking. Your employees, applications, and competitive advantage increasingly depend on it. Those servers and applications need to be fed. And if you have not started planning for 40 gigabits per second (Gbps) to the server rack, you will need to soon. New Cisco 40-Gbps bidirectional (BiDi) optical technology lets you bring 40-Gbps speeds to the access layer using the same 10-Gbps cable plant you are using today. It is a huge cost savings, whether you are upgrading your current data center or building a new one. And it means you can start taking advantage of 40-Gbps performance for your business right now without needing special budget approval and without having to wait a year to get the capacity you need. A proliferation of new devices: Cisco Consulting Services forecasts that the Internet of Things (IoT) will triple the number of devices generating traffic on IP networks. All told, there will be 50 billion smart devices connecting to global networks by 2020. Huge traffic growth as a result of new devices and big data: The Cisco Global Cloud Index forecasts that data center traffic will quadruple over the next five years, and global cloud IP traffic will grow sixfold. Growing reliance on distributed databases and applications: Fully 80 percent of enterprise applications are delivered as a service today, and that figure is likely to grow. Increasing virtualization and virtual machine density: To provide the flexible capacity and scale they need, organizations are using more virtual machines per server: now 11 per server on average, according to the IDC Worldwide Virtual Machine Forecast. This creates a pressing need for greater I/O performance from each rack. More complex and unpredictable traffic flows: Traditional data centers were designed primarily for northsouth traffic. But the growth of mobile workloads, cloud applications, and big data means that 76 percent of traffic now flows east-west within the data center, promoting the need to move more data, more quickly. Trying to keep up with these demands is enough to make your head spin. At the same time, you cannot hold off on adding the performance and capacity your organization needs. All organizations are facing the same challenges. The ones that can meet these demands first will gain a clear advantage. What if there were a way to get the 40-Gbps performance you need right now without rewiring your access layer, disrupting your business, or locking you into a proprietary technology? You do not have to wonder. Cisco can deliver it today with Cisco BiDi optical technology. New Cisco 40-Gigabit Quad Small Form-Factor Pluggable (QSFP) Bi-Directional (BiDi) transceiver modules give you 40-Gbps over your existing 10-Gbps cable plant. This means that you can connect your top-of-rack switches using the same multimode fiber (MMF) and patch cables you are using right now, but get 40-Gbps performance. Think about what that means from a cost perspective. If you were building a new 40-Gbps data center fabric the traditional way, you would need to run 8-MMF strands between your access and aggregation layers: a cost of US$2000 per port, just for parts. With Cisco BiDi technology, you can get 40-Gbps performance using just 2 fiber strands: a quarter of the cabling. For a standard server rack (384 ports), that translates to a savings of more than US$550,000. You are already wired for 10 Gbps. And if you are using a Cisco top-of-rack switch, it is likely already capable of supporting 40 Gbps. So why not take advantage of that capacity? Inside the Optics: Cisco BiDi optics might sound like magic. But this is not some experimental proprietary technology that will lock you into Cisco for your entire data center infrastructure. It is a standard QSFP, MSA-compliant optical connector that can operate with any Cisco switch that supports QSFP modules and connect with any vendor’s standards-compliant equipment. The secret is new Cisco optical technology inside the module that converts four channels each of 10-Gbps transmit and receive signals to two bidirectional channels of 20-Gbps signals. The technology uses specialized, multilayer, thin-film dielectric coating and lensing, which allows components to both pass and reflect optical signals at the same time. And it uses Bidirectional Optical Sub-Assembly (BOSA) technology to support two wavelengths (20 Gbps total) on each fiber. The upshot: Each QSFP can deliver 40 Gbps over the same duplex MMF cabling you use right now. And although the technology inside the optics is only available from Cisco, the result is a completely normal 40-Gbps signal, fully compliant with the ratified 40-Gbps optical standard. So it is interoperable with external taps, splitters, and any other standards-compliant equipment you use today. 40-Gbps performance is no longer a luxury. Your servers need it, your applications and users demand it, and your competitors are working to deliver it. You do not have to rewire your data center to get the next level of capacity and performance. Cisco BiDi technology can deliver 40 Gbps using your existing cable plant. Upgrading capacity without having to upgrade cabling is a huge cost savings. You can quadruple the capacity of a standard server rack with a quarter of the cabling: a savings of $550,000 per rack. Those 40-Gbps signals are not proprietary. Cisco BiDi technology produces a normal 40-Gbps signal, fully compliant with ratified standards and interoperable with any standards-compliant equipment. You do not have to get special budget approval or wait until your next major upgrade cycle to get 40-Gbps performance. Cisco BiDi optical connectors cost about the same as standard 10-Gbps optics and will work with the top-of-rack switches and cable plant you are using right now. The Cisco Advantage: New business applications, virtualization, and data center consolidation trends are pushing your server I/O requirements to places they have never been before. The sooner you can boost your capacity, the more quickly your organization can take advantage of it to gain a competitive edge. 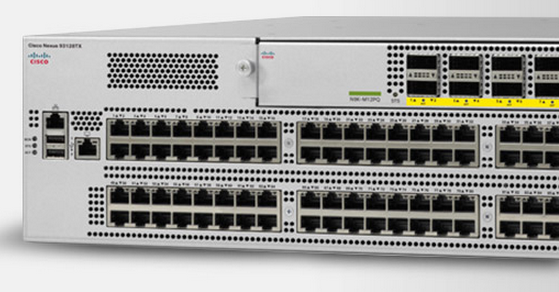 With new BiDi optical technology, available only from Cisco, there is no reason to wait to upgrade to 40 Gbps. Cisco is your partner in preparing to meet the information demands of the next decade. With more than 28 years’ experience, more than 50 million installed devices, and thousands of leading enterprises relying on Cisco data center solutions every day, we know what it takes to empower the modern organization. And as Cisco BiDi technology shows, we know how to provide the new capabilities and scalability needs, while protecting your technology investments.